Christine Schneider also renews an old friendship in the process. Christine Schneider (left) with her kidney donor, Sally Halpin. 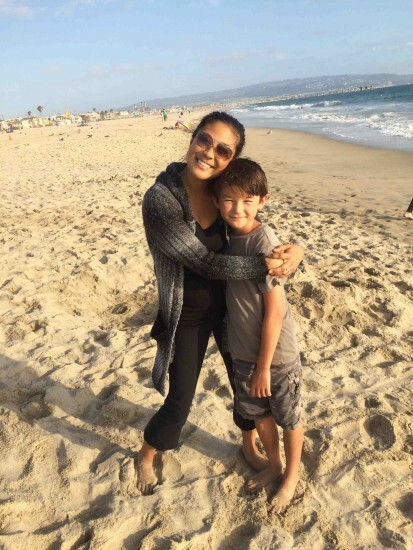 Christine Schneider, 43, of Hermosa Beach likes to go out, see friends and do fun things with her son — things that most people take for granted. But until recently, everyday activities like that were out of reach because she was in desperate need of a kidney transplant. She had lost her husband, Doug, in a dirt bike accident last November and was determined that their son, Dylan, would not become an orphan. Diagnosed with lupus in her teens, she received a kidney transplant from her brother Jeff in 2001. For more than two years, she has endured hours of dialysis daily and was frequently bedridden or hospitalized. Thanks to support from family and friends, one of whom became her kidney donor, Schneider’s situation has improved dramatically. The donor is Sally Halpin, 54, Schneider’s ex-sister-in-law, who was married to Doug’s brother several years ago. A “Kidney4Christine” page was launched on the website YouCaring to find a donor and raise funds for medical expenses. More than $30,000 was raised, $5,000 over the goal. The surgery — on July 31 at Cedars-Sinai Medical Center in Los Angeles — went smoothly for both patient and donor, Schneider said. “Sally was able to leave the hospital the day after the surgery. She was able to stay with Doug’s dad, Bill, and my mother-in-law, Chris. They took great care of her and her family. She needed to stay in California for a few weeks after the surgery and was then was able to fly home. She is doing great and feeling back to normal. “For me, the kidney starting working immediately. I woke up from the surgery and immediately felt great. I didn’t even feel like I had a major surgery. Unfortunately … the kidney was working, but it needed time to start working efficiently. In the beginning I was dumping a bit too much fluid and electrolytes and it was affecting my blood pressure. I ended up in and out of the hospital for several weeks after the transplant. Nowadays, she said, “I’m feeling good … I feel much more energetic now. It amazing because I didn’t realize how badly I was feeling before the transplant because the decline was so gradual, but I definitely realize now that I feel so good. “I haven’t been able to go places with Dylan yet because I’m severely immuno-compromised. I had to have several rounds of IV immune therapy medications prior to and after the transplant, as well as several oral medications. This is so my body will not reject the kidney. Right after the transplant, it’s a critical time until the body completely accepts the kidney. 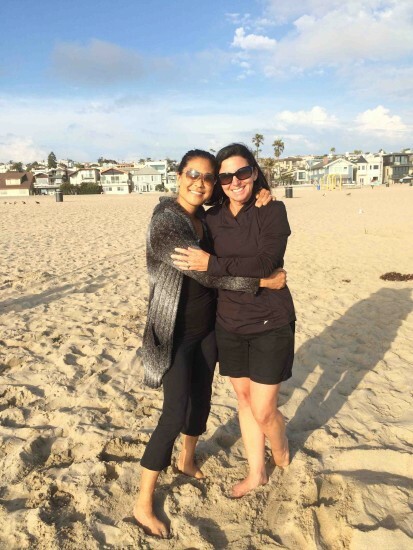 When Schneider had to stop working, they became a one-income family and had to leave Hermosa Beach, moving in with her parents, Myra and Gary Uyemura, in San Clemente. Christine and Dylan have recently returned to Hermosa Beach. Christine Schneider with her son, Dylan. Aug. 24 marked her first wedding anniversary without her husband. She posted this message on Facebook: “Thirteen years ago today, I was lucky to marry the love of my life and my best friend. I met Doug at Good Stuff [restaurant]Hermosa Beach in May of ’94. We dated for several years and then got married at the PV Country Club on August 24th, 2002. Together we shared so much, some trials and tribulations, but our love for each other never wavered. “I thank Doug for teaching me about life, how to be spontaneous, how to love, and most of all how to laugh. He’s always been my strength, my protector, my cheerleader, my best friend, and the most amazing example of what a fantastic, attentive parent should be. I found it hard to get through today, but I also feel so lucky to have had Doug in my life for the time I did. These activities have included a fundraiser by Broza Photo at Waterman’s Grill; donations from entrance fees and T-shirt sales from the Seawright Volleyball Tournament, 4th of July Hermosa Beach Ironman, and 17th Street Labor Day Volleyball Tournament; and donations from the Hangar Grill in Manhattan Beach. “Even a few of our friends’ kids put together a Live Like Doug lemonade stand and donated the proceeds,” Schneider said. “Our close friend Richard Sundeen also created ‘Right Guy’ hats (one of Doug’s favorite sayings), which are being sold at ET Surf, Boccattos Grocery, and Spyder Surf, and all proceeds are going to Dylan’s education fund. Also, private donations still continue to come into Dylan’s fund. Live Like Doug, a nonprofit for children, teens and families that have lost someone they love, will provide local events, grief support programs, community education and outreach so that “children and their families will feel safe, supported and understood during their journey through grief,” Schneider explained. “We will broaden our impact by educating society and various professionals (such as school teachers, principals, health professional, etc.) how to deal with death and grief with compassion, patience, and understanding. Finally, we will offer support programs and fun local activities so children and their families can meet others that are grieving so they won’t feel alone and also have some fun while learning new things. For more information, go to the “Doug Schneider Memorial Page” on Facebook.